We have worked on a number of Paperchase stores in the UK including their Tottenham Court road flagship. 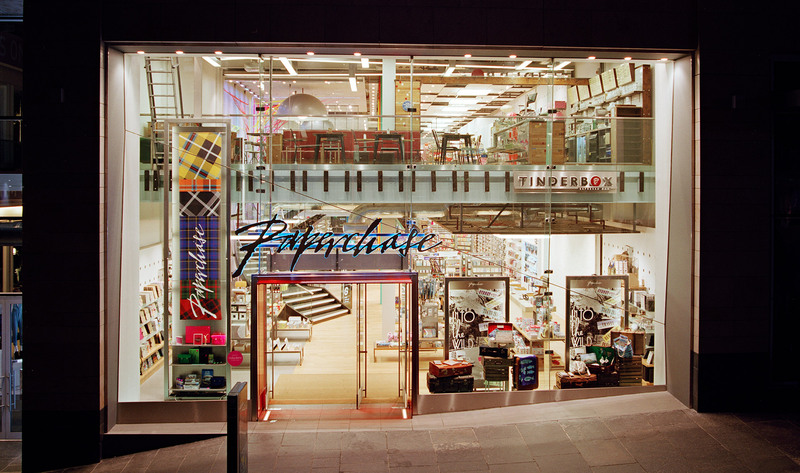 The Glasgow store represents the culmination of the design flair the store interiors are known for and includes exposed services, illuminated floors and other design features. The MEP services design included the smoke extract systems and other life safety services. The store won a Retail Week interior award.